Having renovated properties in the past, these clients had a good idea of what they wanted within their new home. 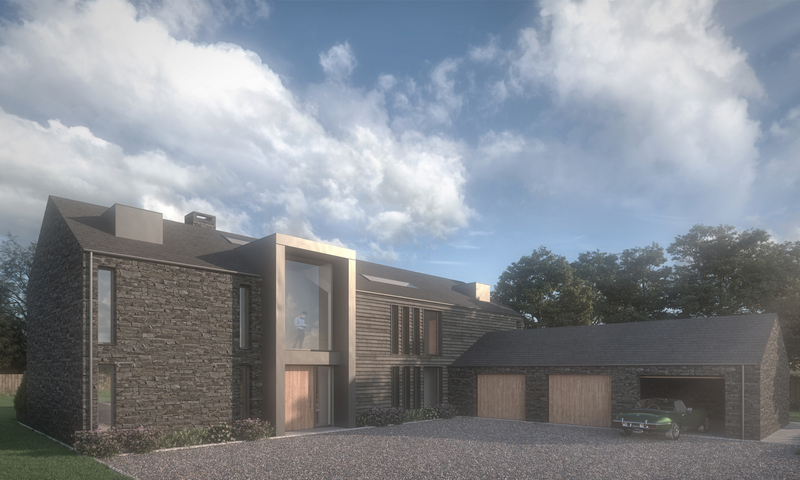 The brief was to design a new-build three bedroom dwelling east of the city of Durham. 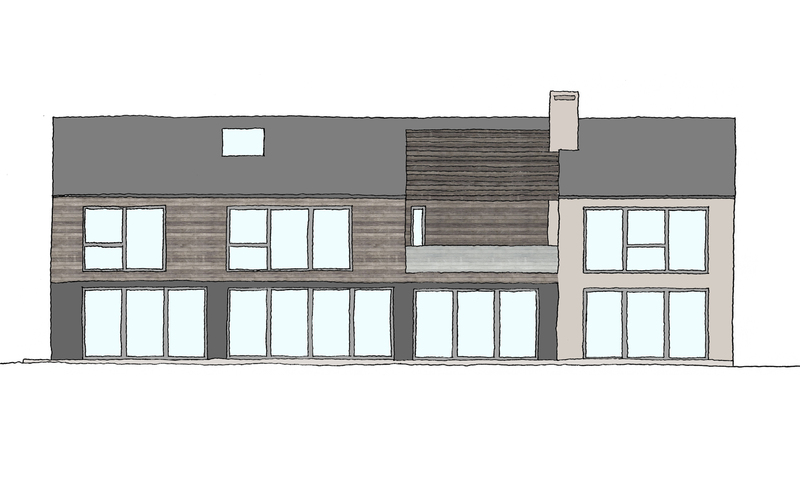 The clients requested a large kitchen dining area, two sitting rooms, garage, games room and BBQ area. In response to the site and conditions, we have drawn on traditional agricultural farm buildings and steadings in the surrounding Co Durham landscape. The site is one of ten self-build plots on former agricultural farmland, made up of contrasting house designs. 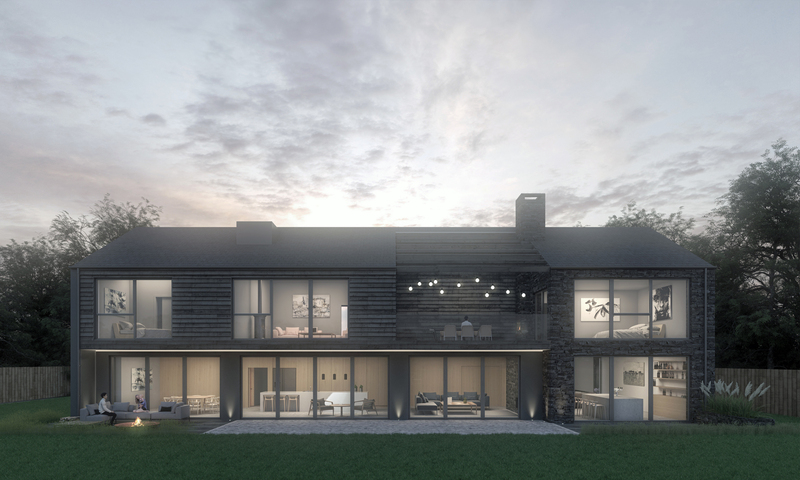 Our scheme is to create a beautiful building that references its rural setting and is also balanced with the varying aesthetic of the neighbouring properties. The form, proportions and fenestrations of the building are influenced by local rural architecture and the future buildings, just metres away on either side. Our concept is a SIPs structure with traditional tiled roof and contemporary zinc detailing, stitched between two robust drystone ‘bookend’ walls. 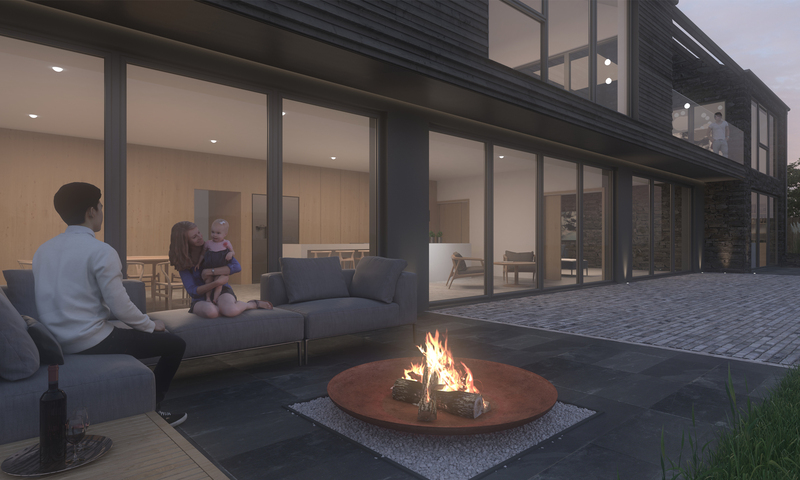 We have provided a first floor lounge that leads onto a recessed external covered area, that will allow the clients to sit outside to enjoy the unbroken country views, sheltered from the elements and in total privacy.